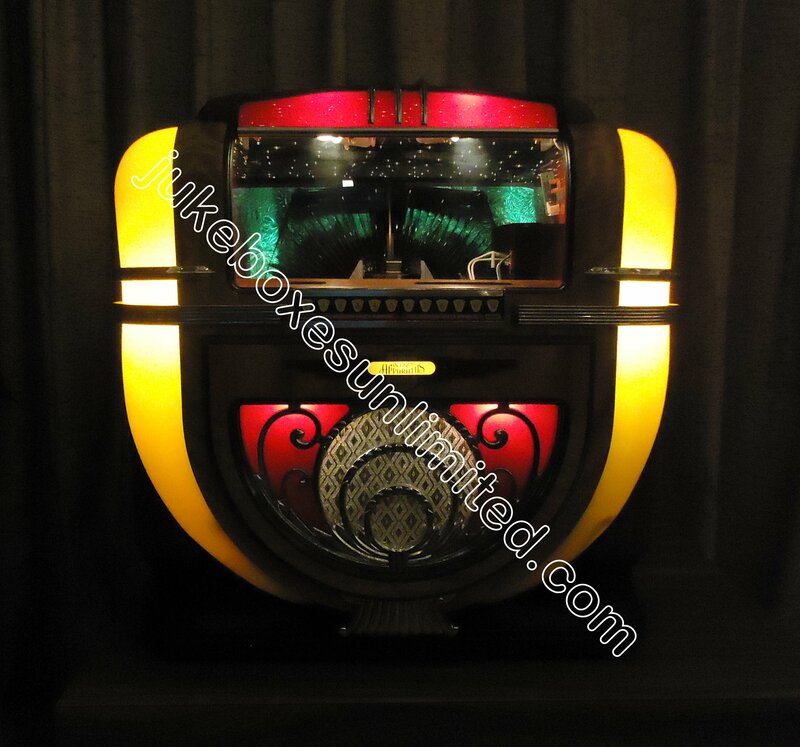 More info coming soon on this gorgeous machine. 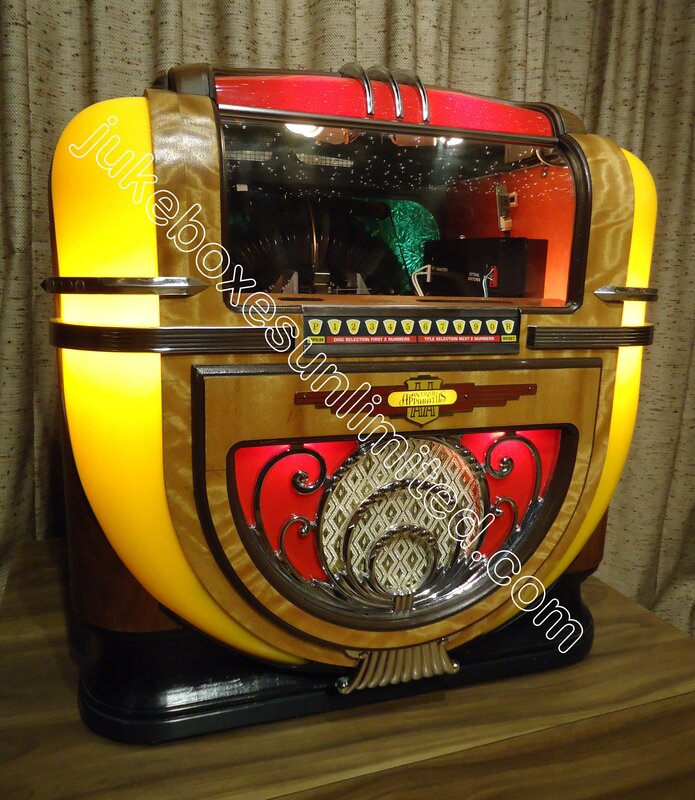 * Selection count varies with number of tracks per cd used in jukebox. 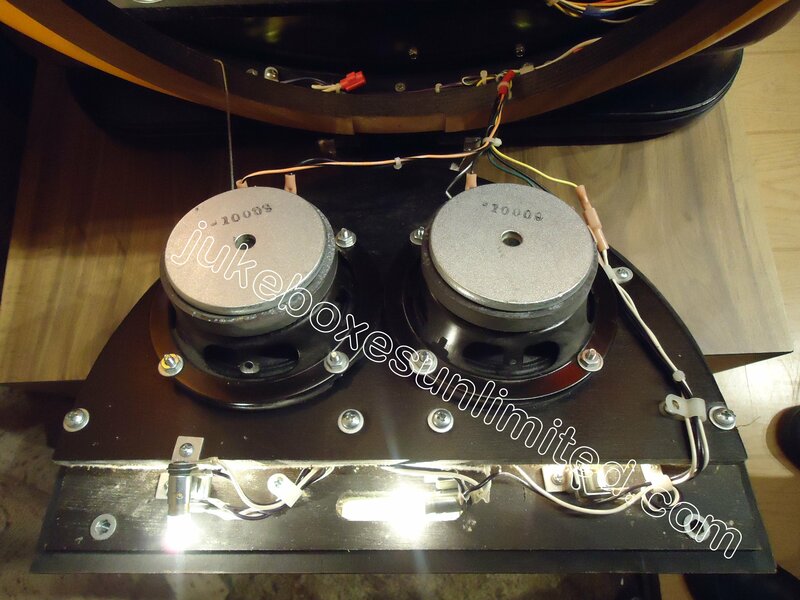 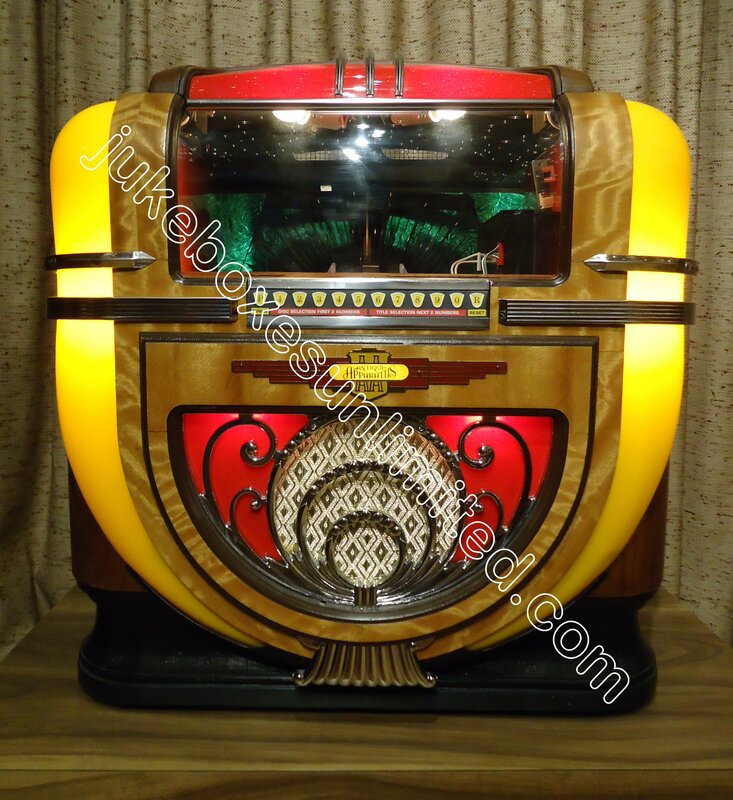 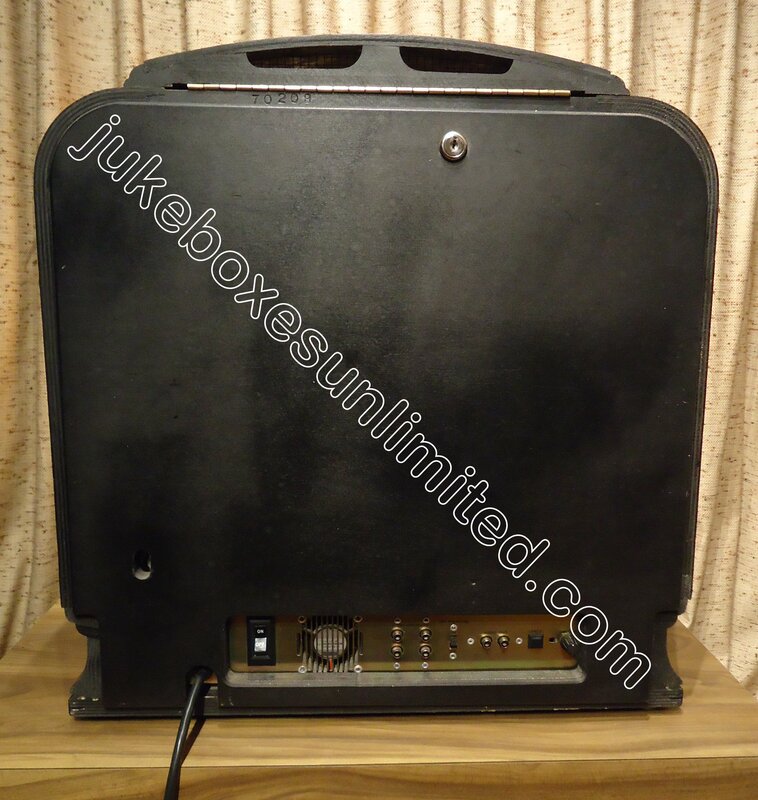 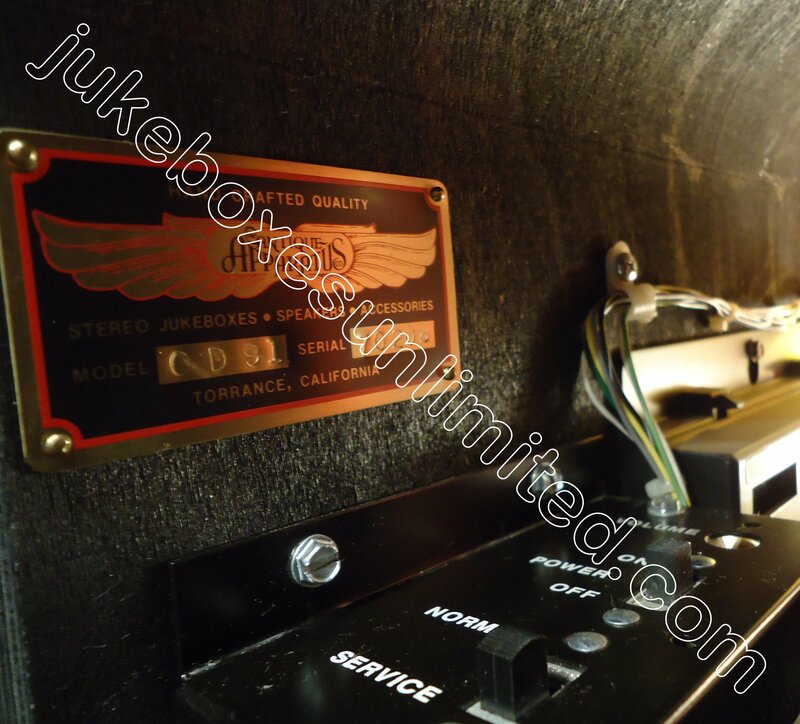 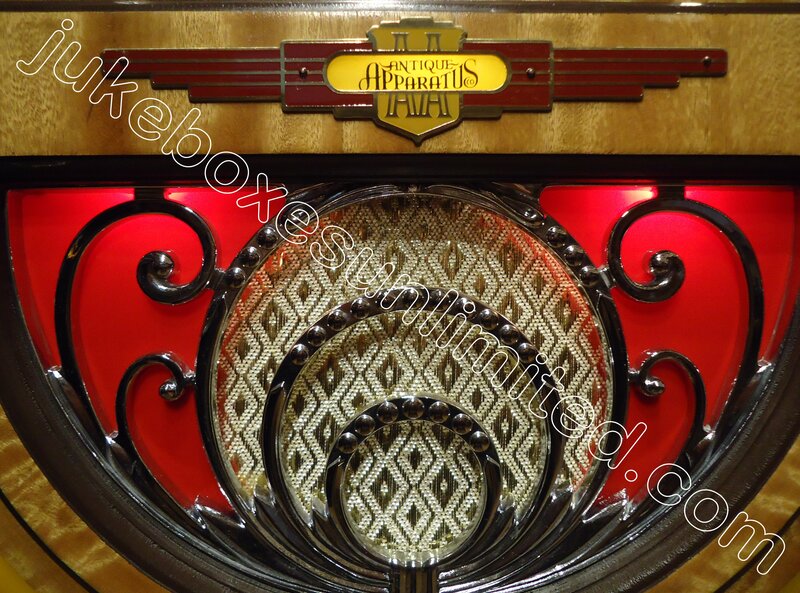 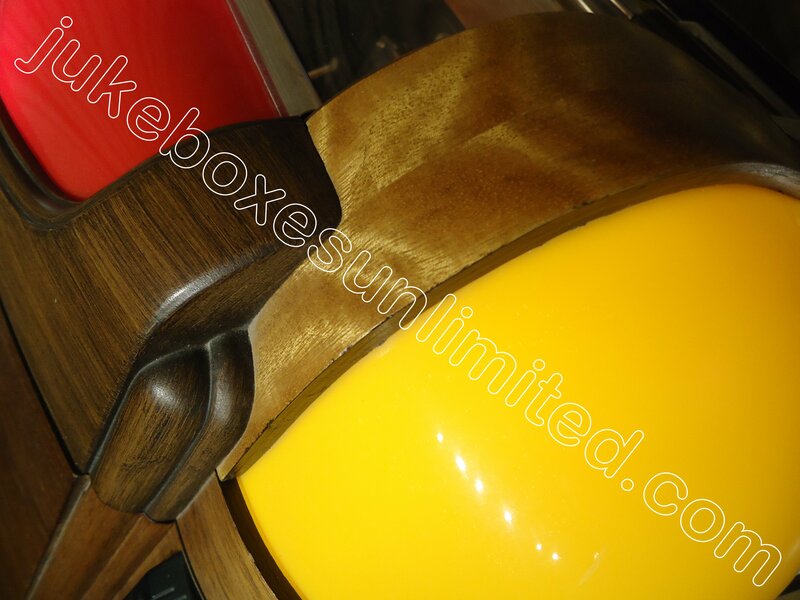 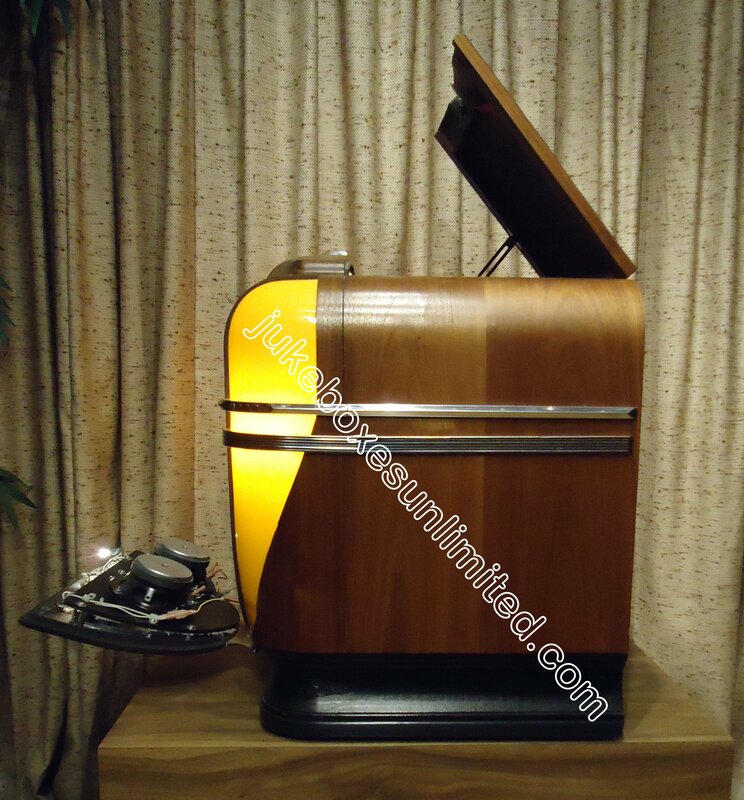 This is a professionally reconditioned/restored 2001 Antique Apparatus CD jukebox model "CD-91" with SN: (pending) from JUKEBOXES UNLIMITED ®/Los Angeles. 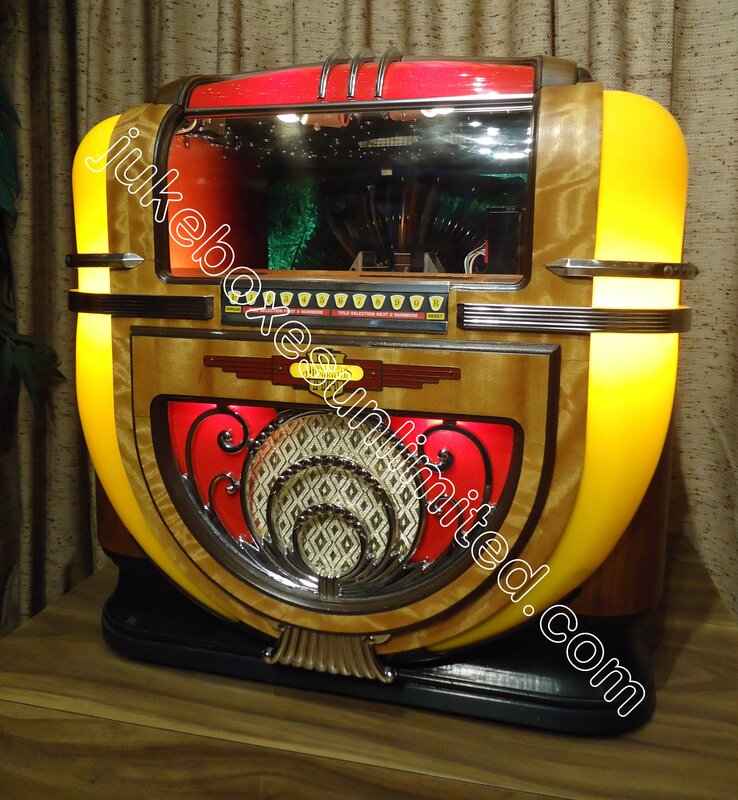 Although sold "as-is", this machine comes with a full one year parts warranty, excluding transportation. 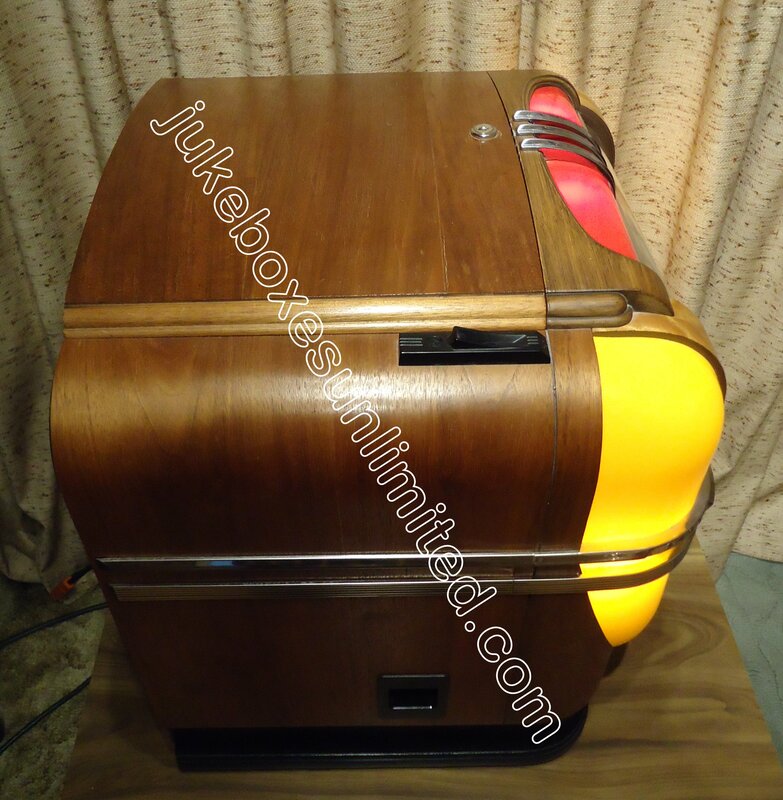 This used jukebox is not perfect and may have blemishes and cosmetic distractions not visible in the accompanying photos.